Another wonderful depiction of a vintage Disneyland poster has been released in Vinylmation form. 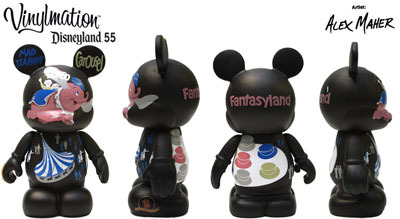 Fantasyland is the 3rd in a 5 figure 9″ series released to celebrate Disneyland’s 55th anniversary. Three attractions are depicted on this poster. 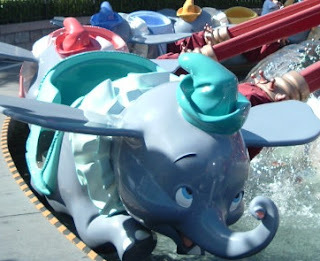 First is the famous Dumbo Flying Elephants ride. 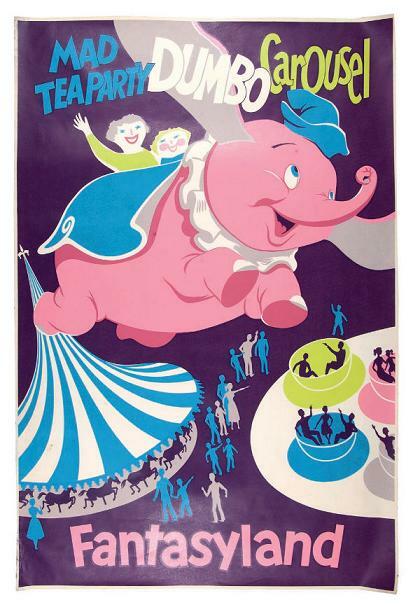 This Dumbo ride appears in all 5 Disney Theme Parks around the world, but the original is in Disneyland and was an opening day attraction in 1955. 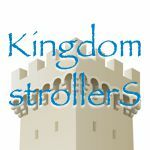 The attraction on the stomach is King Arthur’s Carousel. Inspired by the Griffith Park carousel, Walt Disney wanted something similar for his new theme park. Therefore, a Dentzel park model carousel which had operated since 1932 at Sunnyside Amusement Park in Toronto, Ontario was purchased from Sunnyside and moved to Disneyland in 1954. On the back, is the Mad Tea Party attraction. How fast do you like to spin your tea cup? So far, the Disneyland vintage posters are well adapted to the 9″ Vinylmation, but they all need minor tweaks to effectively use the space. In Fantasyland’s case, artist Alex Maher turned the carousel to be directly under Dumbo. 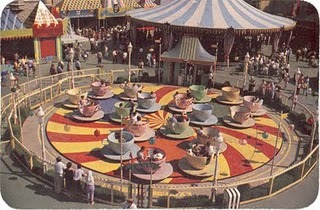 This minor change allows the carousel to take up the stomach and the Mad Tea Party to take up the back. If this change was not done, but attractions would end up in the armpits. And again, as with Adventureland, Alex chose to put the word “Fantasyland” on the back of the head instead of the front on the feet, where it would be if the poster was taken literally. One other notable difference is the absence of people in the tea cups on the Vinylmation. A great job was done depicting the children on Dumbo and the people walking around the carousel, so I wonder what the thought behind not putting people into the tea cups was. Fantasyland is a Disneyland exclusive and is limited to 555 pieces. Tomorrowland and Adventureland have already been released and we look forward to the January 28th release of the Frontierland Poster Vinylmation.